The DB4 sports car was launched at the 1958 London Motor Show as the two door Series 1. 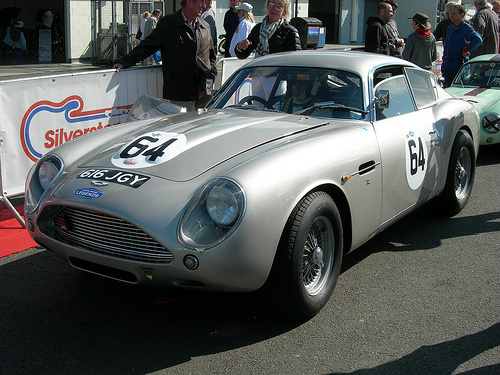 Following its popularity, the lighter DB4 GT was launched in 1960, at the same venue, with a view to its appearance in the track. This involved, primarily, reducing the DB4's wheelbase by 5 inches, and using thinner, lighter 18-gauge aluminium body panels, which subsequently reduced the curb weight to 1270 kg. However, when it came to track performance, the DB4 GT fell well short of its stablemate, the DBR1, which won the 1959 Le Mans 24 Hour race. Consequently, Aston Martin then decided to approach the renowned Italian styling house of Zagato, which specialised in lightweight body construction. 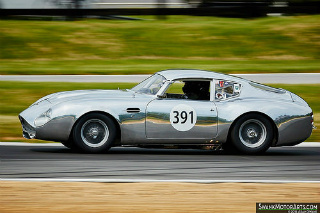 The intention was to create a racer, based on the DB4 GT, that would be serious competition for the Ferrari 250 GT which was, at that time, in an unassailable position in the World Sportcar Championship. Following agreement, the first chassis were shipped to Zagato in 1960 with the goal of producing 25 units of the new sports car, which was to be designated the DB4 GT Zagato. 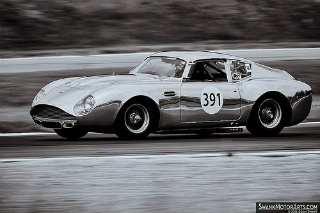 The Zagato was both smaller, lighter, and more aerodynamic than the DB4 GT. By removing non-essential components, such as bumpers, substituting aluminium for as many steel components as possible, and using Perspex instead of glass, a further 45 kg was removed from the overall weight. It used an aluminium alloy body on a chassis composed of steel and aluminium, to produce a curb weight of 1225 kg. It was fitted with Girling hydraulic disc brakes, independent front suspension with a live axle at the rear, and 16 inch wheels. A feature of the body styling was the addition of two bulges in the bonnet to allow for the protruding rocker covers. However, once again, Aston Martin could not overcome the supremacy of Ferrari, with the DB4 Zagato no match for the Ferrari GTO. 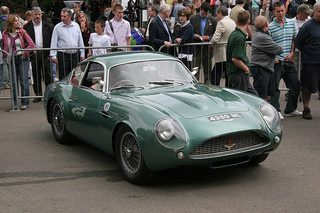 Of the 19 Zagatos built when production ended in 1963, most were sold to privately entered race teams, although four were produced as road legal sports cars. The DB4 GT was powered by a 3.7 litre, straight six, 12 valve, DOHC engine, with a 9.0:1 compression, three twin choke Weber carburettors, and two spark plugs per cylinder, that developed 302 bhp, and 270 ft/lbs of torque. Linked to a four speed manual close ratio gearbox, this enabled it to reach a top speed of 152 mph, with a 0-60 mph time of 6.1 secs. The Zagato was to be powered by a modified version of the engine used in the DB4 GT, that included raising the compression from 9.0 to 9.7:1, which duly developed 314 bhp at 6000 rpm, and 279 ft/lbs of torque at 5400 rpm. This produced a top speed of 154 mph, with 0-60 mph in 6.1 secs. An original DB4 GT Zagato in showroom condition would be valued at anything between $2m and $2.5m.